Carter Uncut brings New York City’s breaking development news under the critical eye of resident architecture critic Carter B. Horsley. 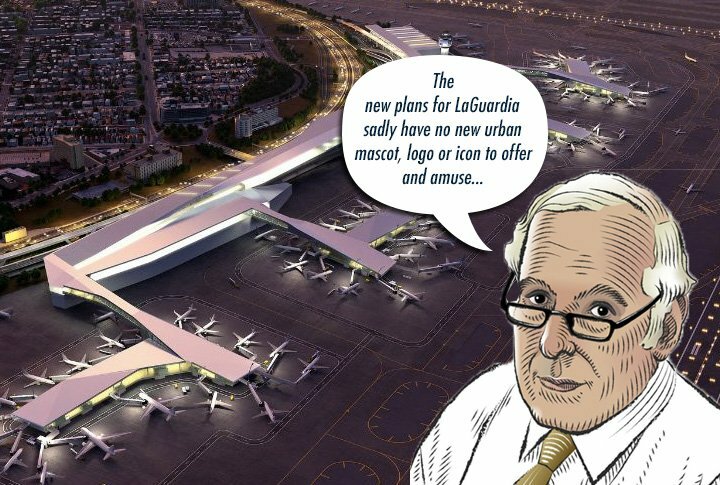 This week Carter looks at the new $4 billion LaGuardia airport proposal. Since its opening in 1939, when it accommodated “flying boats” at its Marine Air Terminal, the airport has not kept up with the growth of jumbo jets and air travel in general, but in the days of the Super Constellation passenger planes with their triple-tails and sloping noses, it was a very nice Art Deco place. 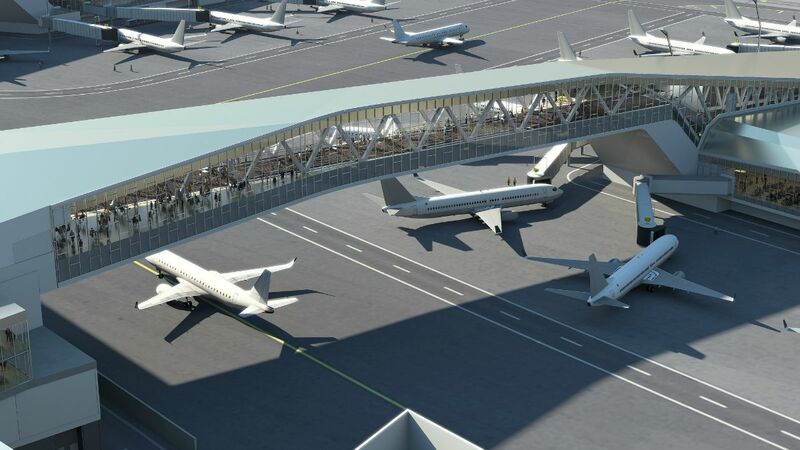 The published renderings that accompanied the announcement were not terribly reassuring, as they depicted a very long curved terminal with gangly tentacles raised over plane taxiways that hinted at torsos of praying mantises: an awkward rather than a graceful vault. 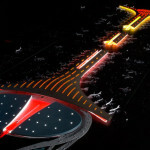 The design is especially lackluster and uninspired when compared to many new 21st-century airports in Beijing, Shenzhen and Shanghai Pudong in China, Madrid, Incheon, Amman, Abu Dhabi, and Doha in Qatar (you can see these in my gallery below). It even falls short when compared to JFK with its great Saarinen TWA terminal and LAX’s “flying saucer” restaurant suspended from two large arches at the entrance—the West Coast airport later further spruced up in 1991 with 15 super landing lights that use high-tech, thirty-foot-high pylons that cycle through a rainbow of colors celebrating the city’s multicultural make-up. 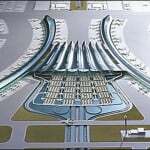 The new LaGuardia scheme also seems rather dainty compared with Paul Andreu’s powerful curved supports at the Dubai Airport that seem to imbue its spaces with claws of fabled Egyptian cats. 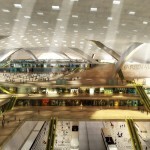 Fluidity is taken to an extreme in the rippling design by Kohn Pedersen Fox for the Midfield Terminal at the Abu Dhabi International Airport that is scheduled for completion in 2017. 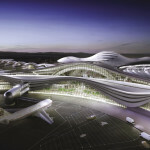 Its 50-meter-high Departure Hall is monumental with great “leaning” arches, a very daunting tsunami. Rem Koolhaas’s O.M.A. designs are always mind-boggling. 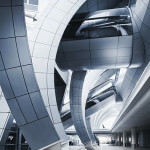 At the Dohar Airport in Qatar, he mixes muscular curved supports like Andreu’s in a layered and disorienting panoply of grandeur. 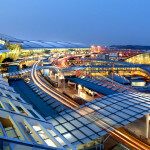 They’ve got to keep the surfboarders off the undulating roofs of the Incheon International Airport in Seoul designed by Curtis Fentress. The forml seems to flip and flap in the wind. Fentress, who also designed the “tent city” airport in Denver to pay homage to snow-capped Rockies and opted to grace its interiors with ancient artifacts. Very large angled bamboo struts were used by Richard Rogers and Antonio Lamela in supporting a soothing, awesome, enveloping and comforting wavy orange canopy at the Barajas Airport Terminal 4 in Madrid. 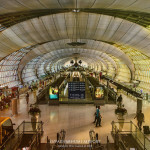 Helmut Jahn’s Suvarnabhumi Airport in Bangkok embraces its travelers with light and views. 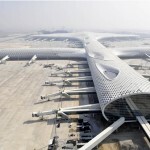 Studio Fuksas’s ice-age reptilian megastructure at the Shenzhen Bao’an International Airport Terminal 3 in China is perhaps the world’s most sensational new airport: a colossal feather of a beautiful, otherworldly swan. Foster + Partners designed the Beijing Airport, which opened in 2008 with a “soaring aerodynamic roof and dragon-like form [that] celebrate the thrill and poetry of flight and evoke traditional Chinese colours and symbols” with red and yellow triangular skylights. At Terminal 2 at the Shanghai Pudong International Airport, Rogers Stirk Harbour + Partners created in 2007 a very lyrical large structure whose long curved wings embrace the center ribbed body of the terminal. 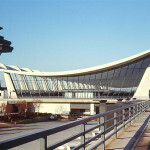 For sculptural beauty and grace, Eero Saarinen’s Dulles Airport near Washington is the icing in the cake. A great “bird” conquering the air. 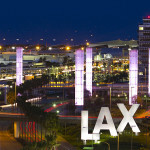 The “flying saucer” theme building is shown at the upper right with the later pulsating pylons at the entrance of LAX, a fine demonstration how drama and surprise can conquer sprawl. The airport spruced up its welcome mat in 1991 with the erection of its 15, super “landing lights,” high-tech, thirty-foot-high pylons that cycle through a rainbow of colors celebrating the city’s multicultural make-up. 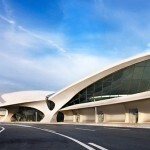 Saarinen’s fabulous TWA terminal at JFK International still stands as the finest airport poetry in motion. The Saarinen creations came just after Paul Williams of Pereira & Luckman designed the quaint “flying saucer” with circular restaurant suspended from two large arches at the entrance to the LAX airport in Los Angeles. That probably pretty accurately describes the attitude of many business travelers, but not everyone, especially the young on initial adventures and the feisty curious for new horizons. For them, the magic carpet of travel is wondrous and wonderful and very special—or at least it should be. An airport should transport. It should set off our imagination’s rockets. It is the start of grand adventures. Up, up, away! Meanwhile, other transportation concerns were being raised about the need for new rail tunnels under the Hudson River. Both the airport and tunnel plans are very expensive and very ambitious and they, and other important planning issues, such as a subway link from Times Square to the Hudson Yards, and the impact of the Hudson Yards on the Garment Center and Lower Manhattan, and the recent emergence of “supertall” alleys at the southern boundary of Central Park South and the west side of Grand Central Terminal have received very scant public scrutiny. Clearly, there is a vacuum of planning leadership, one that began in the Bloomberg administration and continues in the DeBlasio administration. The horses are stampeding out of the barn, trampling most basic principles of city planning and, more important, aesthetics. 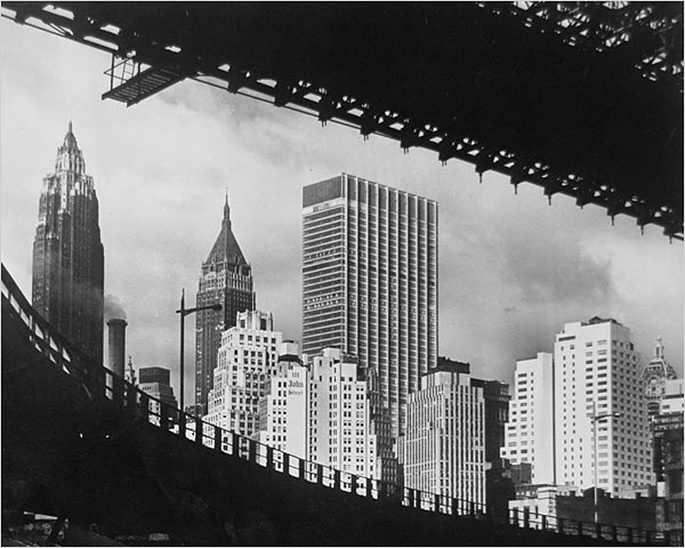 There was a time in the early 1930s when the Lower Manhattan skyline excited the world wildly with its spindly towers rising to an apex almost in the center. That image held fast until the 1960s when One Chase Manhattan Plaza arose like the monolith in “2001: A Space Odyssey” to confound most observers, to be followed, relatively quickly, by the shiny and silvery twin peaks of the World Trade Center that tilted the urban scape sharply towards New Jersey. 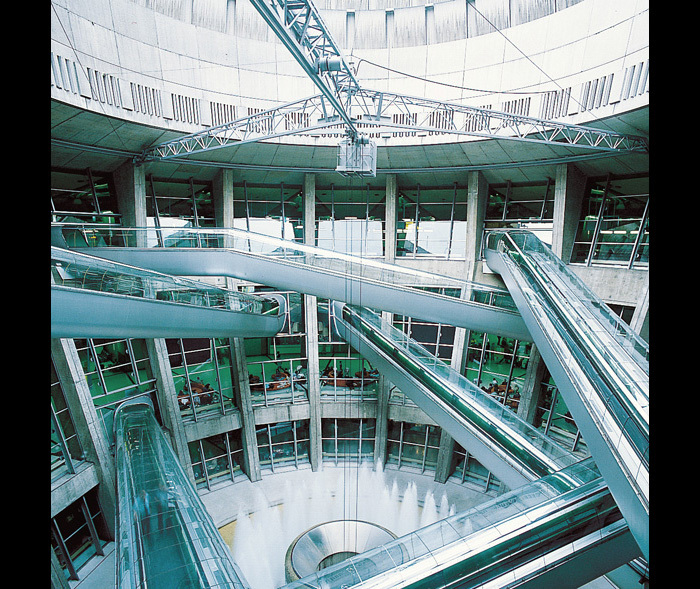 There was also a brief time when megastructures were in vogue, when Japanese architects ignited brave new worlds of wonder with rather glorious designs. Such a scheme was once proposed for the Hudson River waterfront of Lower Manhattan before the city’s design experts opted for a more conventional approach that aped existing patterns of piecemeal and quite modest development that resulted in the very nice but rather bland Battery Park City. Today in New York, the rise of the NIMBYism has made megastructures virtually impossible. Who wanted humongous structures sprawling across their low-rise horizons with no semblance of respectable, middle-class context? Now, let’s return to LaGuardia. 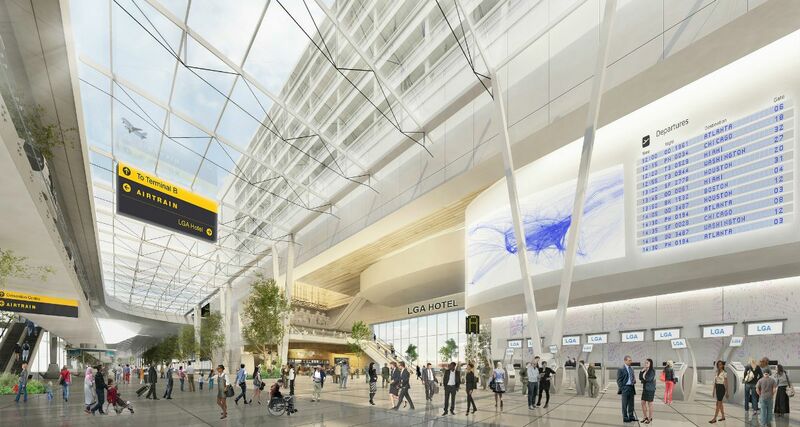 To address this, the new LaGuardia design has been taken on by three architectural firms: SHoP and Dattner Architects, both well-known and respected firms, and PRESENT Architecture, a young firm. The press materials did not indicate what each firm has designed. 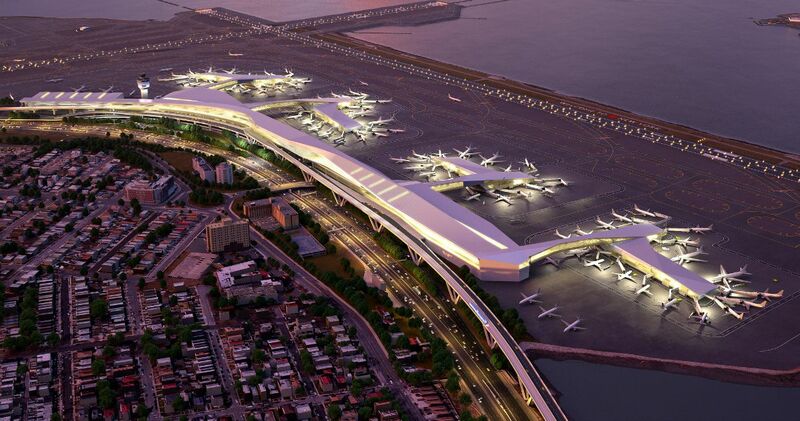 The plan, it should be noted, outlines a megastructure; it calls for demolishing Terminal B and redeveloping Terminals C and D, which are operated by Delta, into a “unified” continuous terminal about 600 feet closer to the adjoining Grand Central Parkway to create nearly two miles of additional aircraft taxiways and to add an Airport People Mover and conference center facilities. 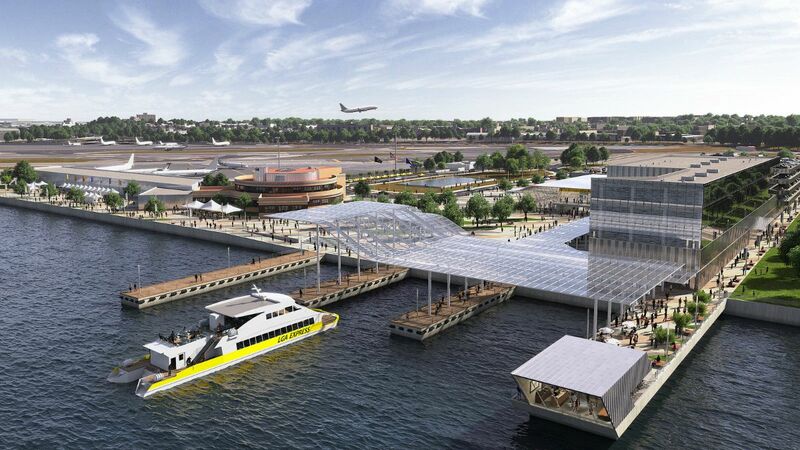 In addition, the plan calls for ferry service to the Marine Air Terminal and, if feasible, to the east end of the airport, and the accommodation of a future AirTrain. Queens deserves better. 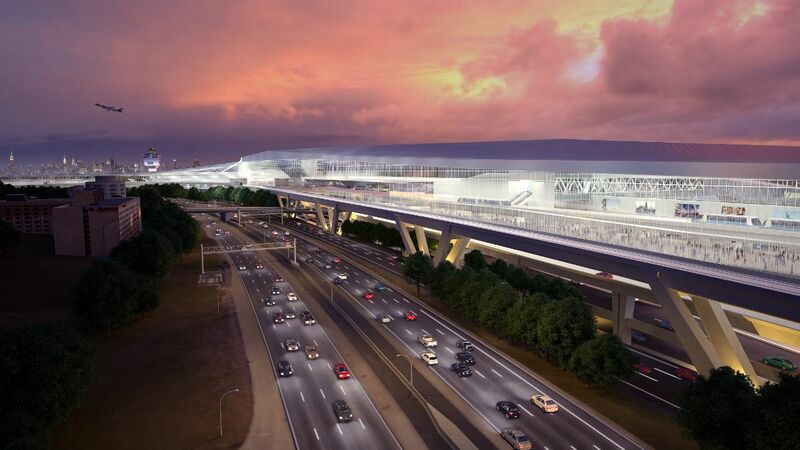 And, more importantly, the city deserves an airport that is not agonizingly distant, uncomfortable and uninspiring. We need places we can be proud of. And if not now, when? Carter is an architecture critic and the editor and publisher of The City Review. He worked for 26 years at The New York Times where he covered real estate for 14 years, and for seven years, produced the nationally syndicated weeknight radio program “Tomorrow’s Front Page of The New York Times.” For nearly a decade, Carter also wrote the entire North American Architecture and Real Estate Annual Supplement for The International Herald Tribune. Shortly after his time at the Tribune, he joined The New York Post as its architecture critic and real estate editor. He has also contributed to The New York Sun’s architecture column. Design by committee. Always works.